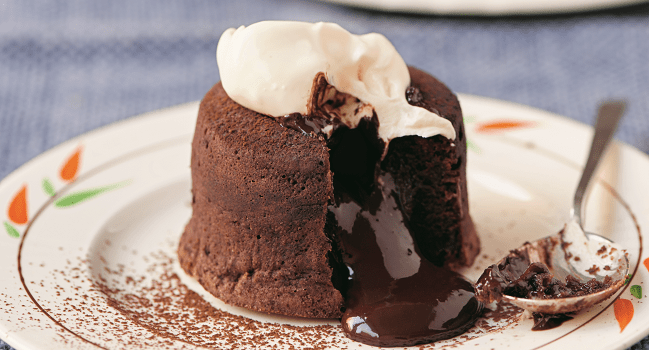 Chocolate fondants have a horrible reputation of being among the scariest desserts to bake. It took me until my late twenties to even attempt this beast. I want to tell you it went horribly wrong, that it was an inedible disaster. But I’m sorry to say it went really well, and it always has. This is a safe and easy recipe for a melt-in-the-middle sensation. Crusty on the outside, warm and gooey on the inside with the distinctive, lingering aroma of anise. 1. To coat the ramekins: Brush 8 ramekins with melted butter, making upward strokes. Place the ramekins on a baking tray in the freezer for 10 minutes. 2. Take the ramekins out again and brush them once more with melted butter, and put them back in the freezer for 10 minutes. Take them out and dust the insides with cocoa powder, making sure to tap out any excess. 3. To make the fondants: Preheat the oven to 200°C/fan 180°C. 4. Melt the chocolate in a bowl over a pan of simmering water, being careful not to allow the bowl to touch the water. Roughly chop the butter and add to the chocolate, stirring until it melts in. 5. Whisk the sugar and eggs until they are light and fluffy and doubled in size. This will take about 5 minutes in a stand mixer, or 5–10 minutes with a handheld mixer. Add the butter and chocolate mixture, and mix everything together. Now add the flour and star anise, and fold in using a large metal spoon. 6. Put the ramekins on a baking tray. Divide the mixture between the ramekins, leaving a 1cm gap at the top of each. Cook for 10–12 minutes, no longer. The fondants will start to come away from the sides of the ramekins. 7. Take the fondants out of the oven, and leave in the ramekins for 1 minute only. They will still be hot, but they need to be turned out straight away and served, otherwise the residual heat will cook them right through. 8. You can freeze the fondants before baking, ready for another occasion. If you are cooking from frozen, cook at 200°C/fan 180°C for 17 minutes. Over 14 million people tuned in to see Nadiya win 2015’s Great British Bake Off, on which she captured the heart of the nation. A columnist for The Times and Essentials, Nadiya is also a regular reporter for The One Show. Born in Luton, she lives in Milton Keynes with her husband, Abdal, and is mum to three gorgeous children. Nadiya’s Kitchen is her first cookbook. With chapters ranging from ‘Lazy Sunday Mornings’ to ‘Midnight Feasts’, ‘Snacks and Sharing’ to ‘Dessert for Dinner’, there’s a dish for any time of the day, for all of the family. 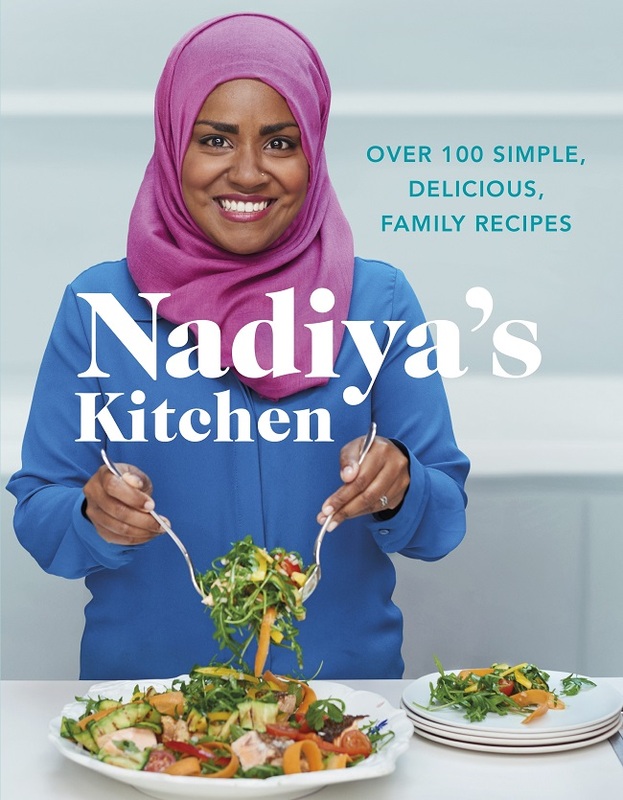 Nadiya offers innovative twists on traditional classics and the perfect recipe for those staple meals and bakes, from fish finger butties to churros french toast.